Synopsis: This is the story of Joan, a thirteen-year-old girl growing up in a suburb of Liverpool during World War II. Since the author grew up in Britain during that time, the descriptions of the hardships of rationing, the relentlessness of the air raids and the anxiety and destruction they produced, the mistrust of “others” and of those who might be living a double life, all ring true. Into Joan’s life comes intrigue in the form of a mysterious man who appears at the window, or in the shadows, and finally whistles in the dark to beckon her, asking for her help. In trying to help him, wheels are put in motion that open up many secrets, including some of people very close to her. 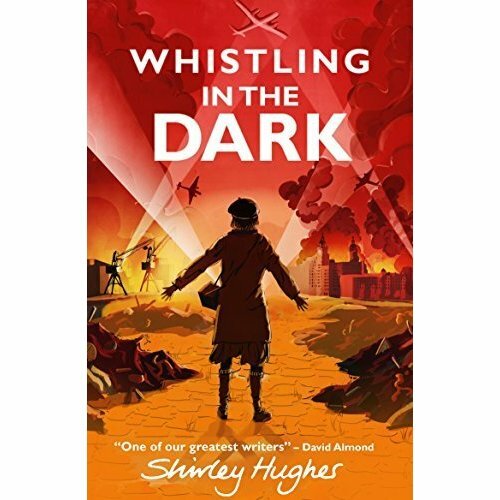 This book is well worth reading, for the clear picture it gives of what life was like for young people during the War in Britain, as well as for the intriguing story. For Further Enrichment: Listen to the author talking about the book here. Learn more about the Liverpool Blitz on the Imperial War Museum website. Read an article about the author (now age 90) from The Guardian, and another from the Irish Times. This book is going on my TBR list. I have met folks who grew up during the war and they all have interesting stories to tell.